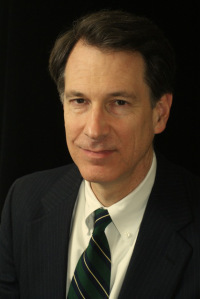 John Lenczowski is founder and president of The Institute of World Politics, an independent graduate school of national security and international affairs in Washington, D.C. IWP is dedicated to developing leaders with a sound understanding of international realities and the ethical conduct of statecraft, based on knowledge and appreciation of American founding principles and the Western moral tradition. Offering three Master’s degrees and eight certificate programs, IWP is the only academic institution dedicated to teaching all the arts of statecraft, including: military strategy, the art of diplomacy; public diplomacy, opinion formation, political warfare; intelligence, counterintelligence, economic strategy, and moral leadership, and how these arts are integrated into national strategy. From 1981 to 1983 Dr. Lenczowski served in the State Department in the Bureau of European Affairs and as Special Advisor to the Under Secretary for Political Affairs. From 1983 to 1987 he was Director of European and Soviet Affairs at the National Security Council. In that capacity, he served as principal Soviet affairs adviser to President Reagan. He has been associated with several academic and research institutions in the Washington area, including Georgetown University, the University of Maryland, the American Enterprise Institute, the Ethics and Public Policy Center, the Council for Inter-American Security, and the International Freedom Foundation. He has also served on a Congressional staff. He is the author of Soviet Perceptions of U.S. Foreign Policy (1982); The Sources of Soviet Perestroika (1990), Cultural Diplomacy: A Multi-faceted Strategic Asset of Soviet Power (1991);Full-Spectrum Diplomacy and Grand Strategy (2010) and numerous other writings and addresses on U.S. foreign policy, public diplomacy, cultural diplomacy, counter-propaganda, political warfare, Soviet/Russian affairs, comparative ideologies, intelligence, strategic deception, counterintelligence, and integrated strategy. Dr. Lenczowski and his wife, Susan, have two children and live in Washington.